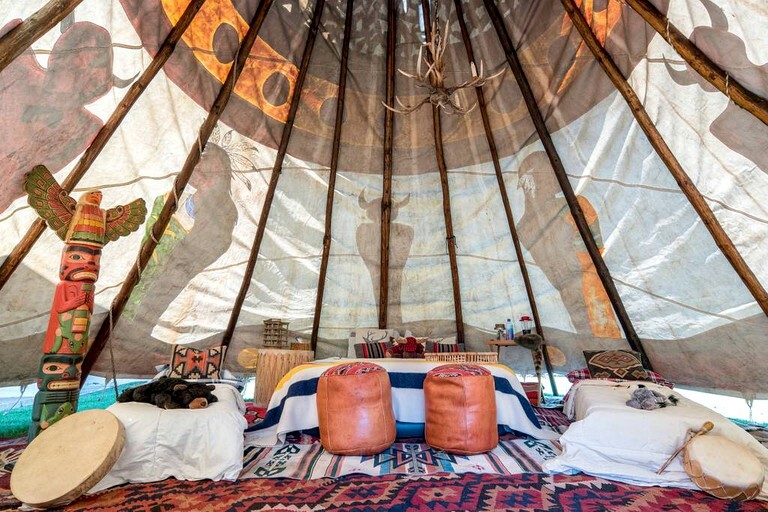 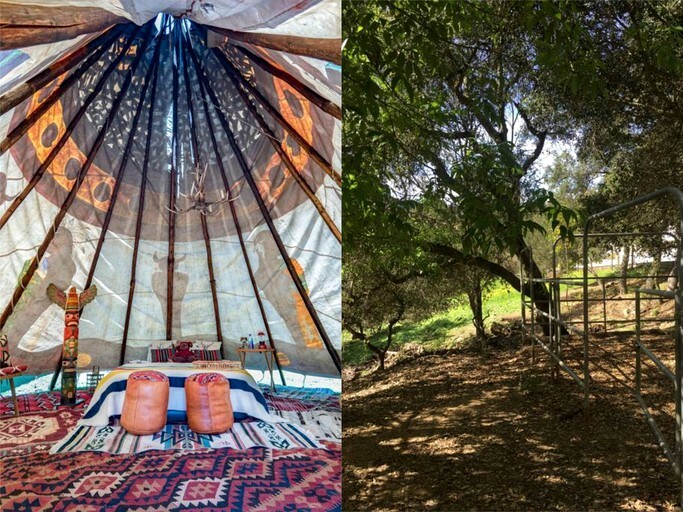 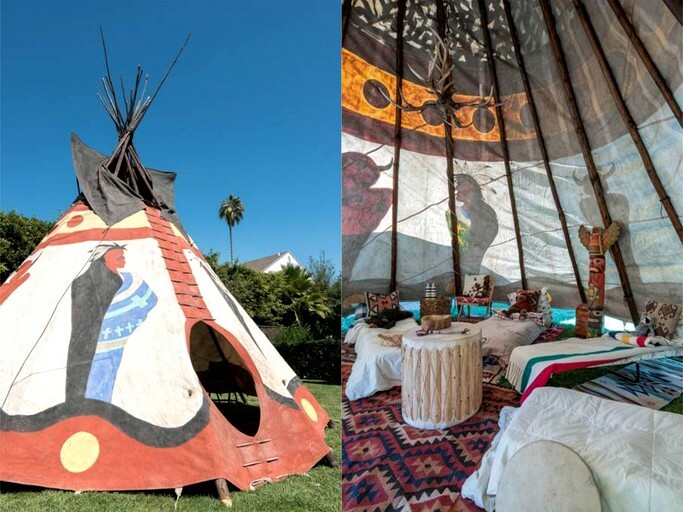 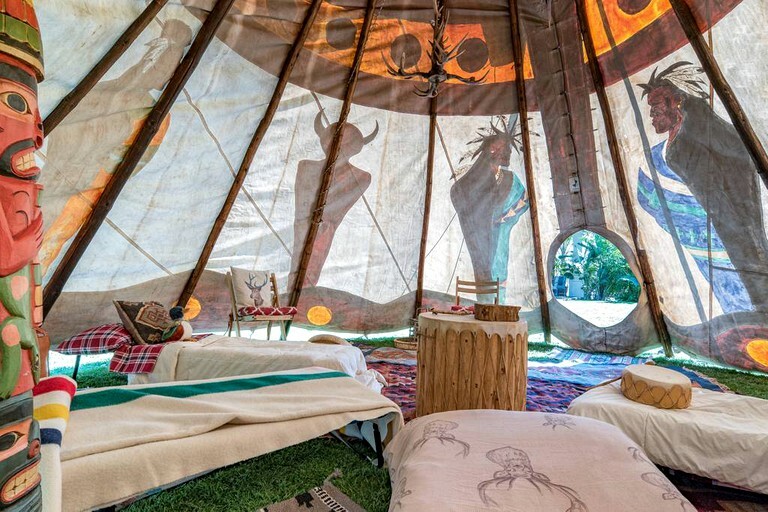 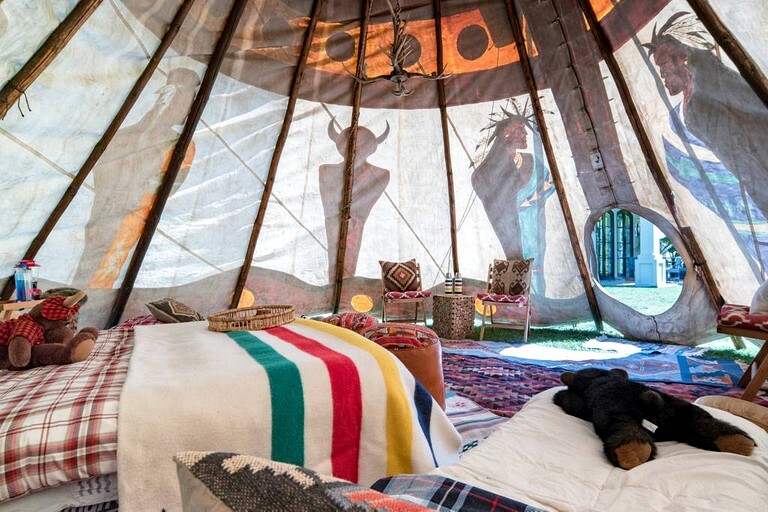 This luxury tipi is located in Topanga, California, and can accommodate ten guests for an amazing luxury camping getaway. 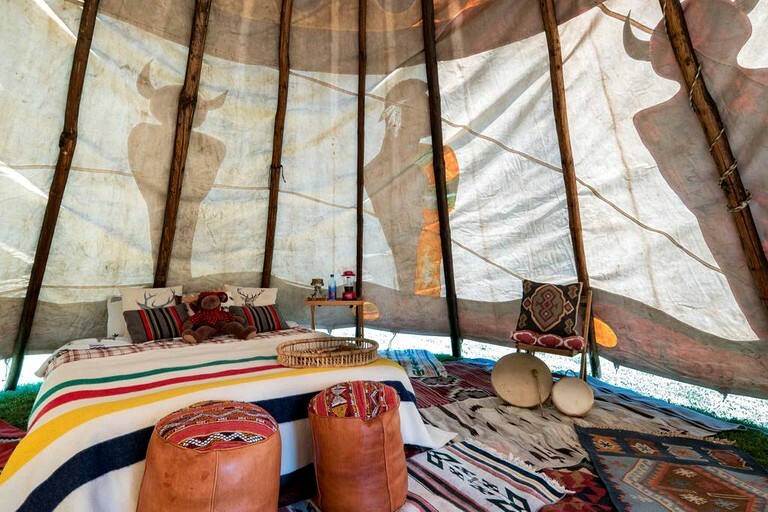 The layout consists one large, round space, with canvas walls. 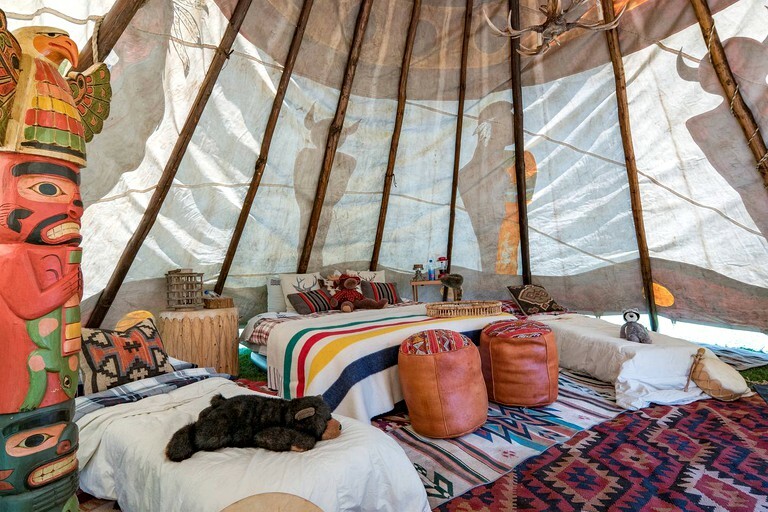 There is one queen-size and six single beds. 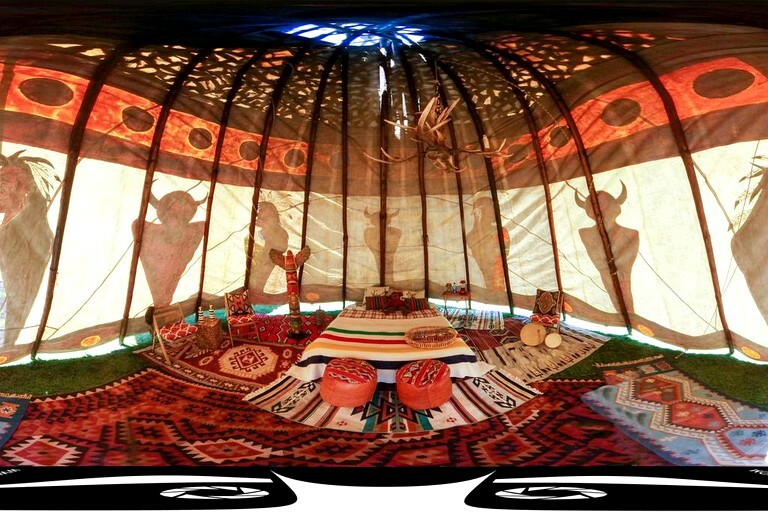 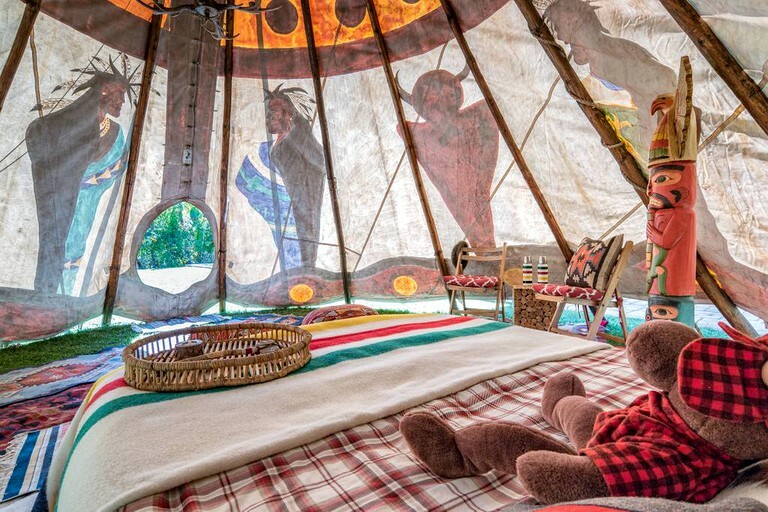 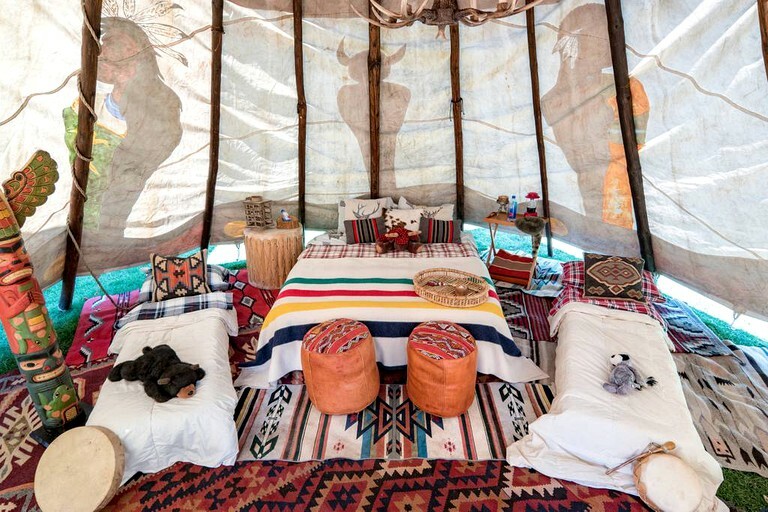 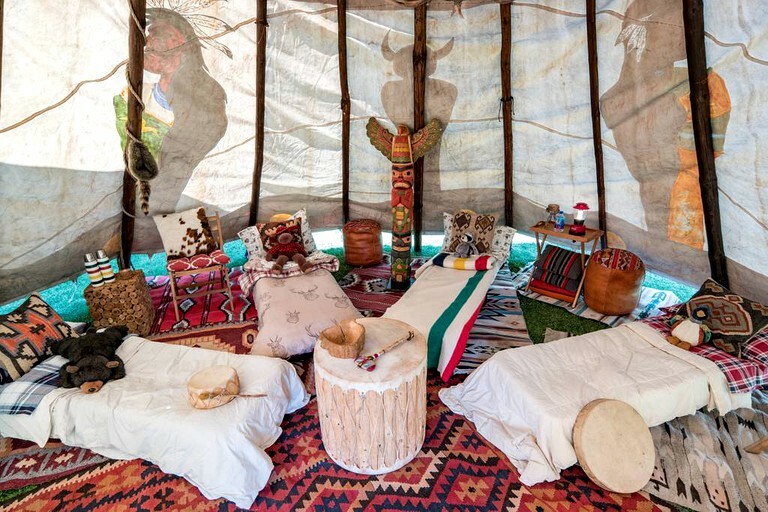 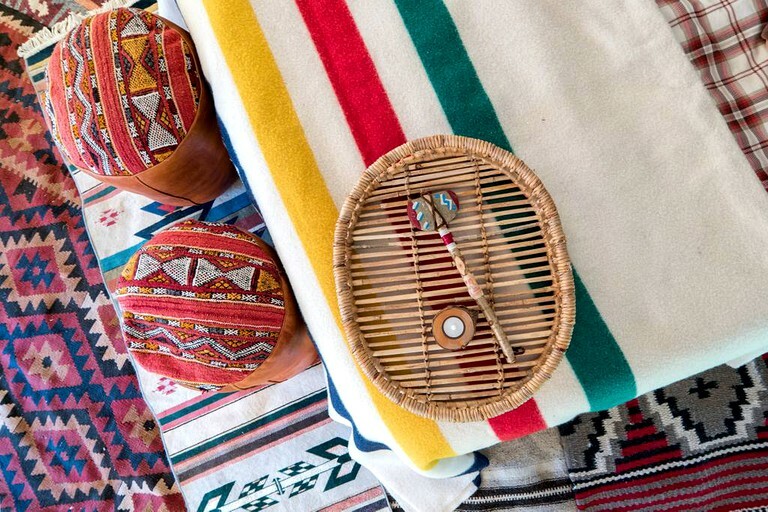 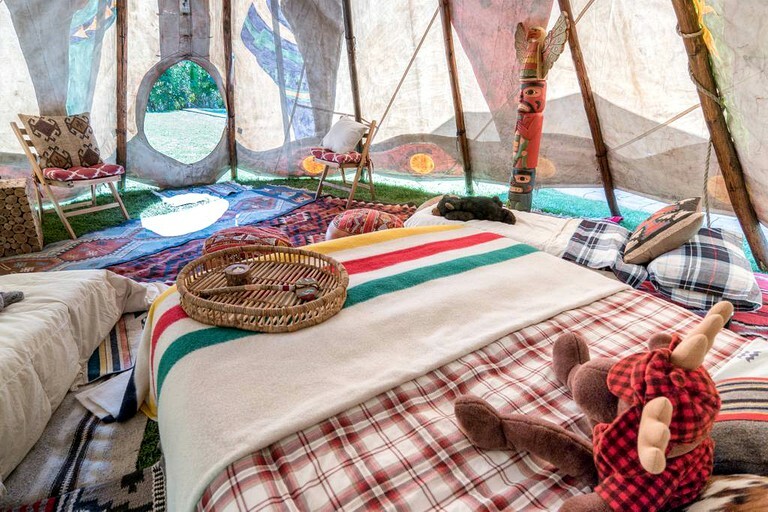 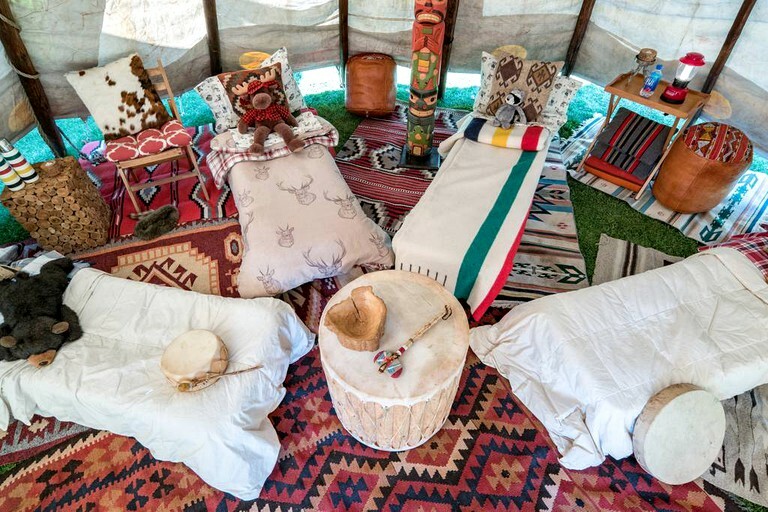 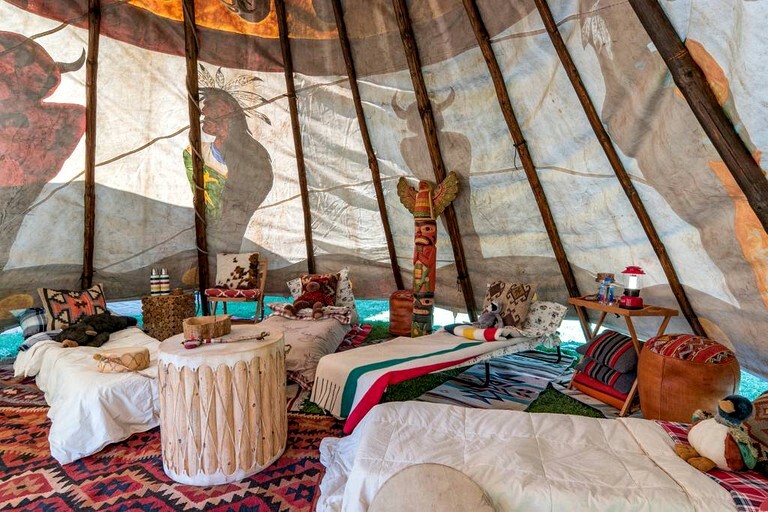 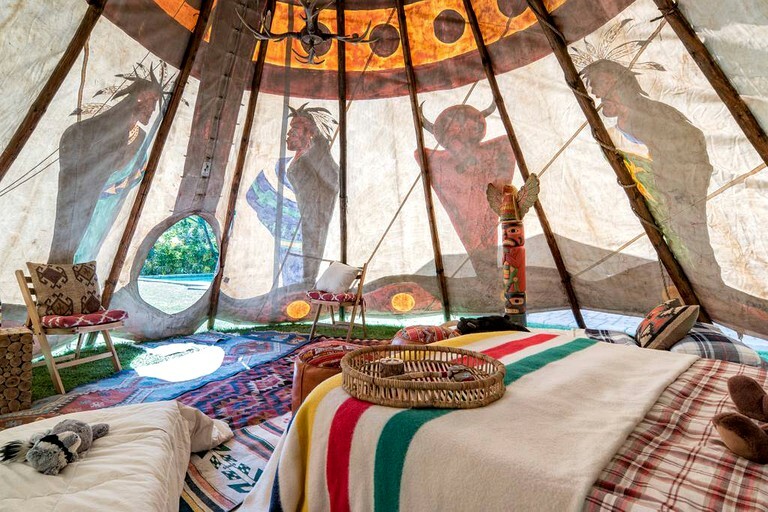 Aztec patterns fill the tipi with lively color in the fluffy duvets, pillows, and authentic rugs. 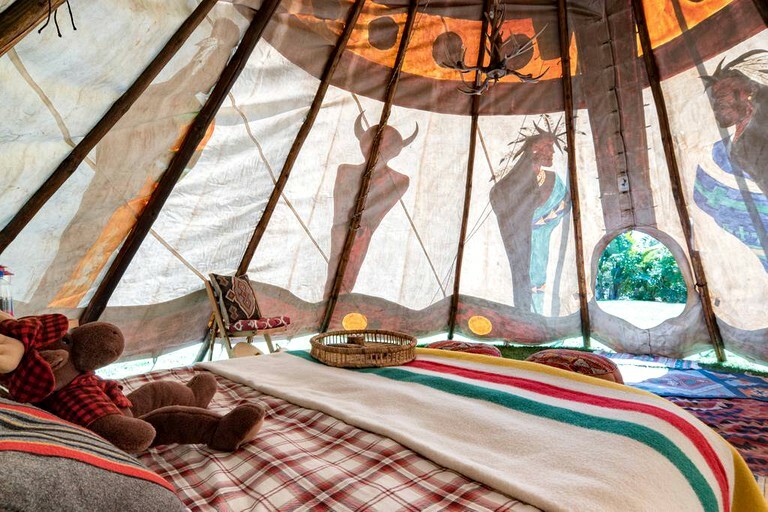 A native totem pole watches over glampers as they sleep under the stars. 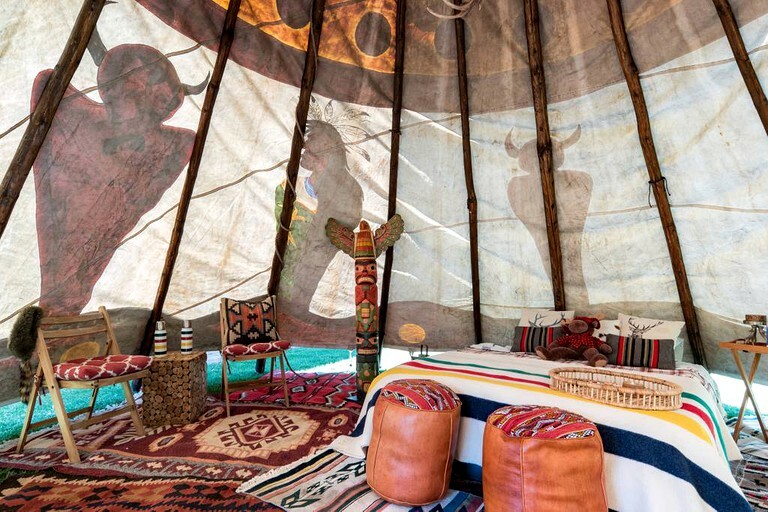 An antler chandelier hangs over the beds, offering light via remote control. 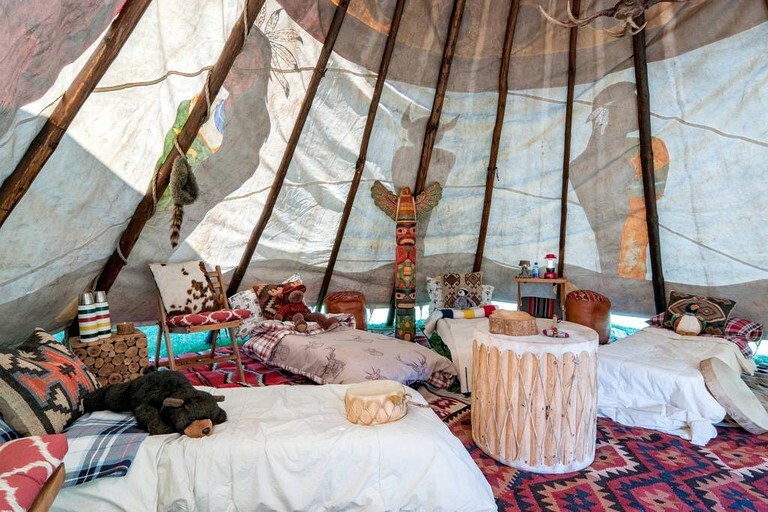 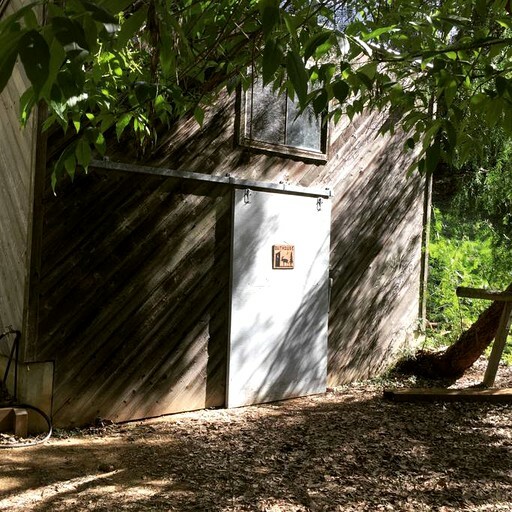 Less than 100 feet from the tipi's entrance, guests will find a spacious and clean outhouse. 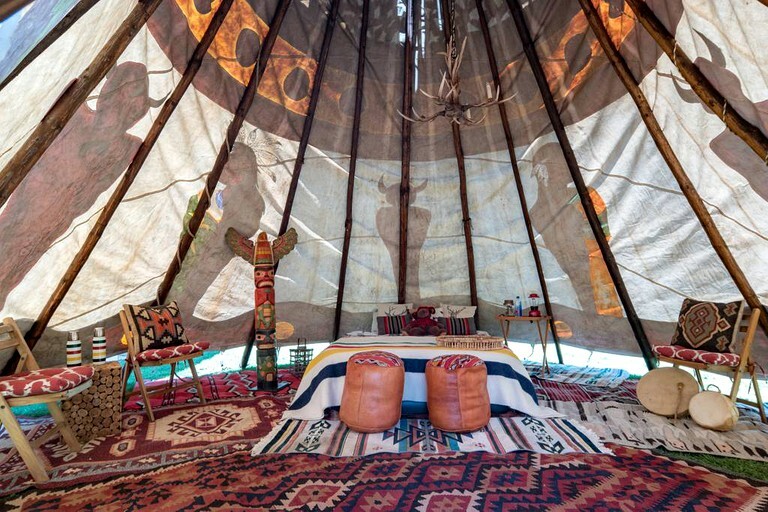 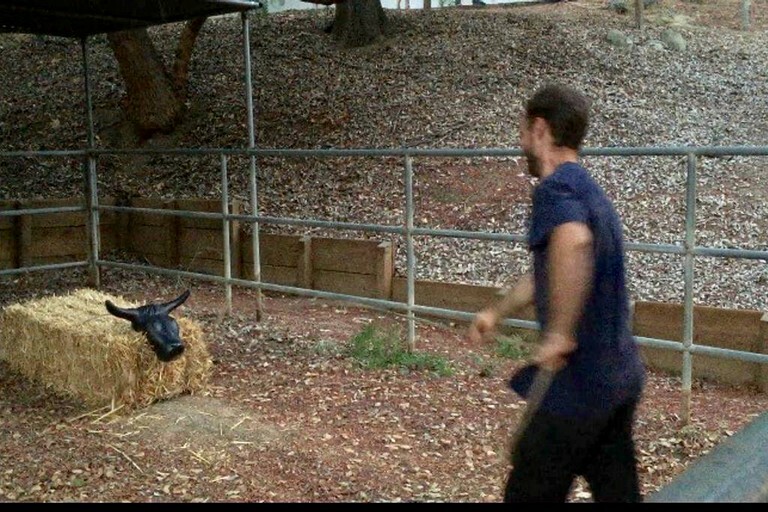 This site does not have shower facilities. 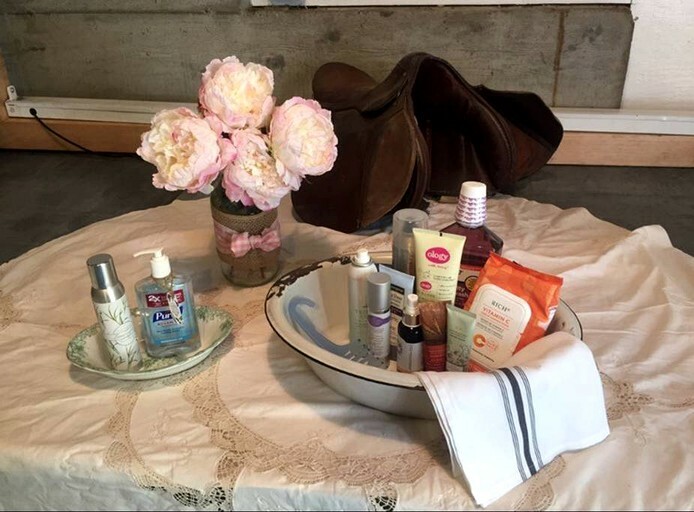 Provided toiletries consist of dry shampoo, mouthwash, makeup remover, and hand sanitizer. 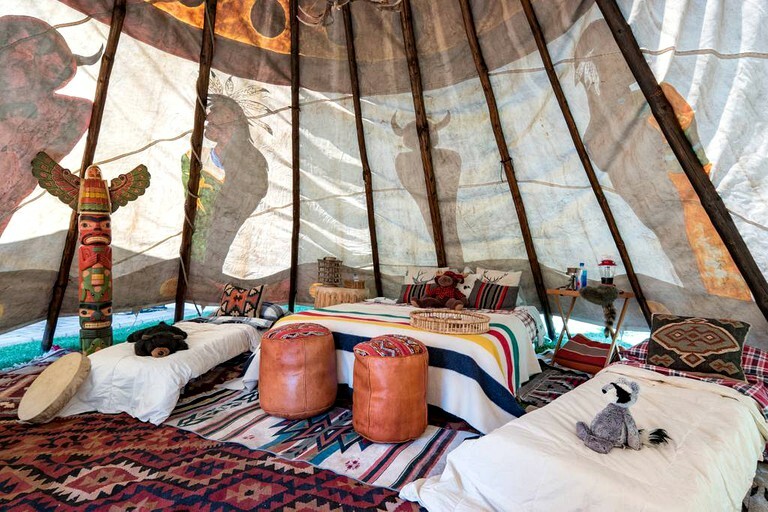 All linens and towels are provided as well.